Cooked root vegetables on a plate. 4 Can You Boil Broccoli & Carrots at the Same Time? Winter root vegetables can provide nutrition from local sources during cold weather, and slow cooking is a simple, easy way to prepare them. Slow cookers help busy cooks get a meal on the table with little fuss. Winter root vegetables such as turnips, rutabagas and carrots can be cooked in a slow cooker with a minimal amount of fat. According to the book "Recipes from the Root Cellar," root vegetables are a low-calorie source of fiber. 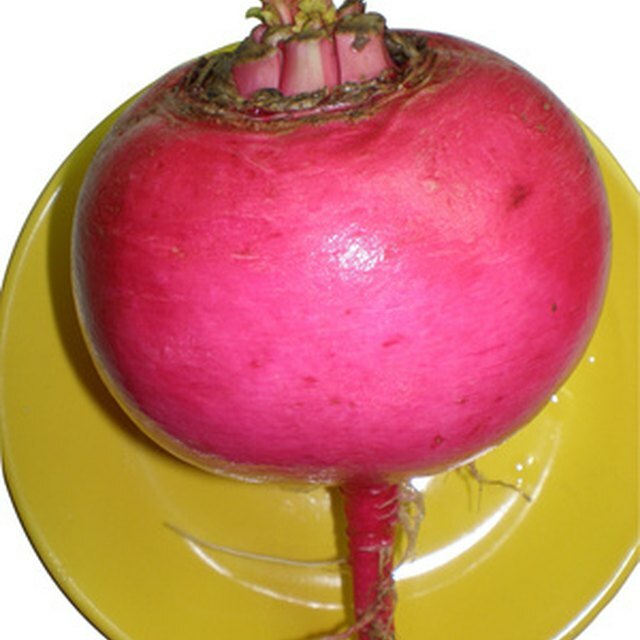 "The New York Times" reports that rutabagas are a good source of potassium and vitamin C; parsnips provide folate, calcium, potassium and fiber; and carrots contain beta carotene. 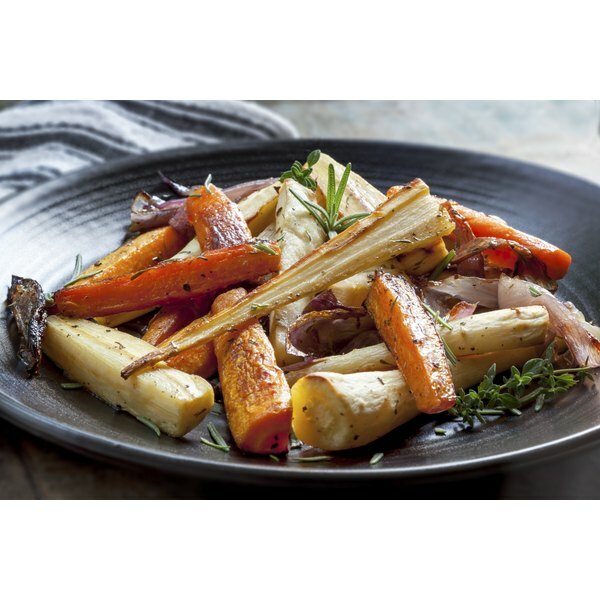 Combine the assorted winter root vegetables, garlic, olive oil, vinegar, salt and pepper in a slow cooker. Examples of winter root vegetables are rutabaga, celeriac -- or celery root -- carrots, turnips, parsnip, parsley root and beets. Stir to combine. Cover with a lid. Turn the slow cooker on to the low- or high-heat setting. Cook on low for eight hours or high for three to four hours. The vegetables are done when they are tender but not mushy or falling apart. Transfer the vegetables from the slow cooker to a large serving platter. Sprinkle with parsley and chives. Serve hot. Serve with a rotisserie chicken and brown rice pilaf for a complete meal. To make a slow-cooker winter root vegetable soup, add 4 cups low-sodium chicken or vegetable broth to the slow cooker with the vegetables. Puree vegetables with a hand-held blender after cooked, if desired, or leave whole.